Alexa is great to have for controlling your smarthome and asking various questions, but she can also call and message your friends and family. Here’s how it works and how to set it up. First, you’ll need to update the Alexa app to the latest version, so if you haven’t already, head to the app store on your phone and get the update if you haven’t updated the app within the last few weeks. Next, open up the Alexa app, and you’ll be greeted with an introduction to the new calling and messaging feature. Tap on “Get Started” at the bottom to continue. If you’ve already gone through the setup process for this, skip to the next section. On the next screen, select your name. Confirm your name and then hit “Continue” at the bottom. 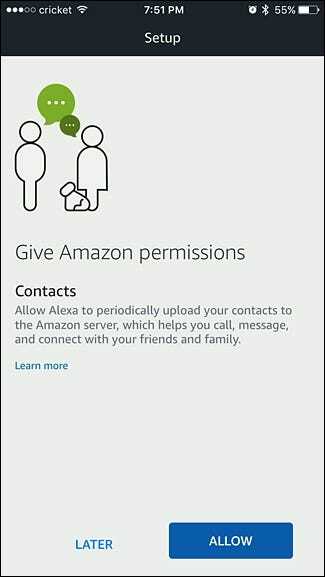 You’ll now need to give the Alexa app permission to access your phone’s contacts. This is how you’ll call and message other people using your Echo. Tap on “Allow” to continue. 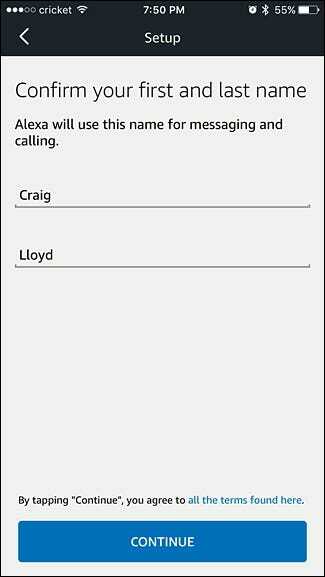 Next, enter in your phone number to associate with your Echo and then tap “Continue”. 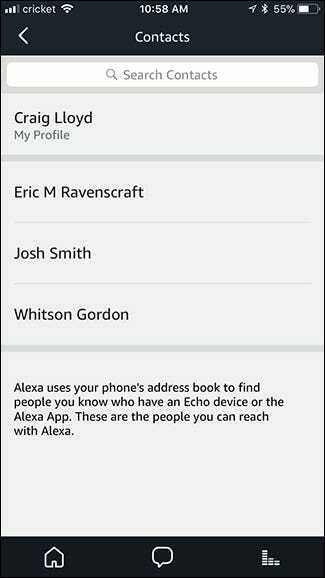 Whenever someone from your phone’s contacts also sets up this feature on their Echo, they’ll automatically appear in the contacts list in the Alexa app. 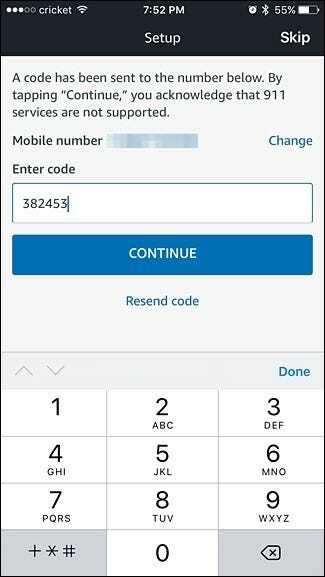 This is also how your phone number shows up on a friend’s caller ID when you call their phone from your Echo. 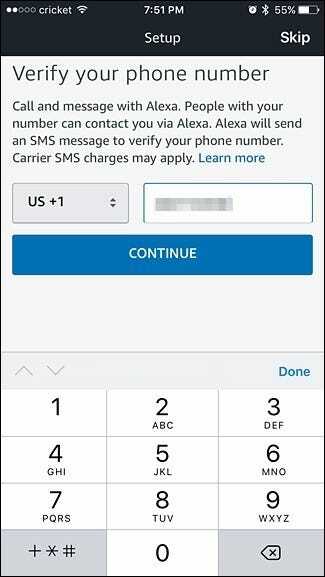 After you enter in your phone number, you’ll be sent a verification code. Enter in that code on the next screen and hit “Continue”. Once that’s done, you’ll be taken to the Conversations screen in the Alexa app. 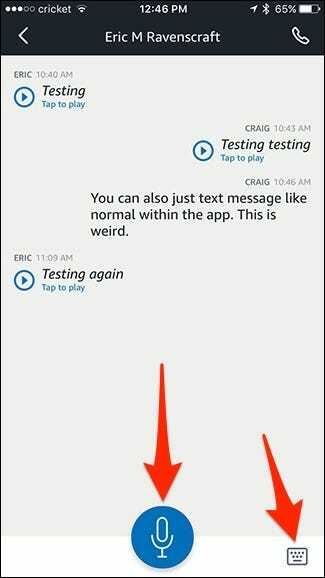 This is where all of your messages will appear, similar to the conversations screen within your phone’s default text messaging app. 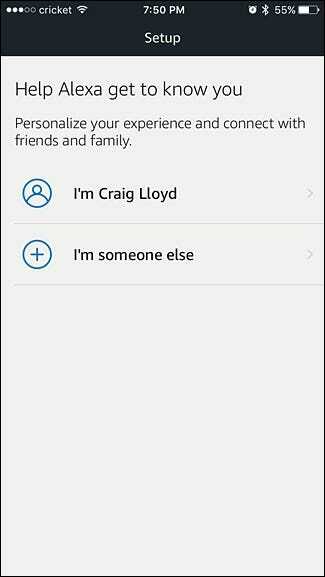 To access the list of contacts that you can message using the Alexa app or your Echo, tap on the person outline up in the top-right corner. 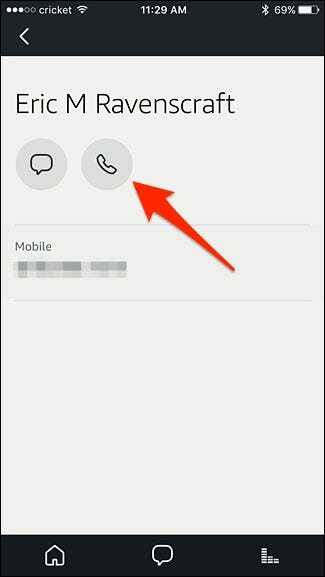 On this screen, you’ll see all of your contacts that have Echo calling and messaging set up. 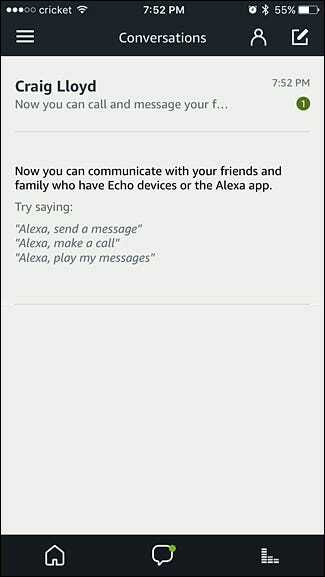 There are two ways that you can call someone: using your Echo or Alexa app to call someone else’s Echo, or using your Echo to call someone else’s phone. To call someone using the Alexa app, go to the contacts screen, select a contact, and tap on the phone button. The recipient’s Echo will light up and make a chime noise, as well as announce who’s calling. Their phone will also ring via the Alexa app, but they can answer your call on either device, either by saying “Alexa, answer call” or just accepting the call on their phone using the Alexa app. 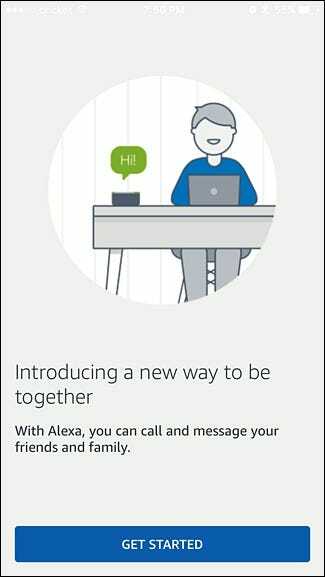 To make a call hands-free using your Echo, just say “Alexa, call Dave” (or whoever it is you want to call). However, this is where things can get a bit complicated. 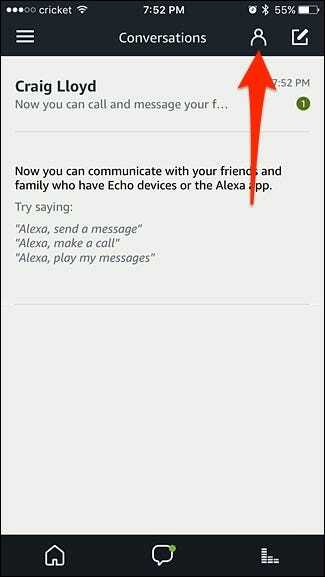 If the person you’re calling is listed in your contacts in the Alexa app as well as in your phone’s contacts, it will default to calling their Echo and Alexa app. If that person is not in your Alexa contacts but is in your phone’s contacts, it will call their phone and look just like a regular phone call, complete with your name and phone number showing up on their caller ID—the only difference is that you’ll be talking to them on your Echo rather than your phone. 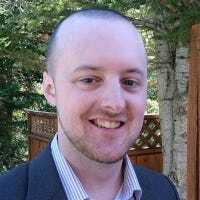 If you don’t want Alexa defaulting to calling someone’s Echo and would rather call their phone instead, you can say something like “Alexa, call Dave mobile” instead of just “call Dave”. If you want to make a phone call through your Echo but the person or business you want to call is not in your phone’s contacts, you can just say “Alexa, call 555-555-5555” and it will dial that number. In any case, to end a call, you can either wait for the other party to hang up, or you can just say “Alexa, hang up”. Also, keep in mind that you cannot receive regular phone calls through your Echo—you can only make phone calls for the time being. Hopefully this changes in the near future. Messaging is a bit different than calling in the sense that you can’t send text messages to someone’s phone number through the Alexa app or your Echo—you can only send messages to other Alexa users. However, there are two ways to do this: using the Alexa app or using your Echo device. To message someone using the Alexa app, go to the contacts screen, select a contact, and tap on the message button. This will start a new conversation page with that contact if there isn’t one already. 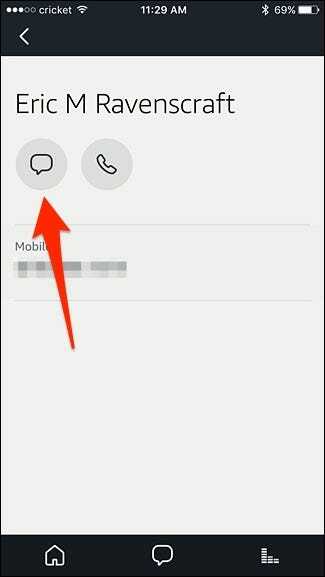 From there, you can either tap on the microphone button to record a voice message or hit the keyboard button and type out a message. 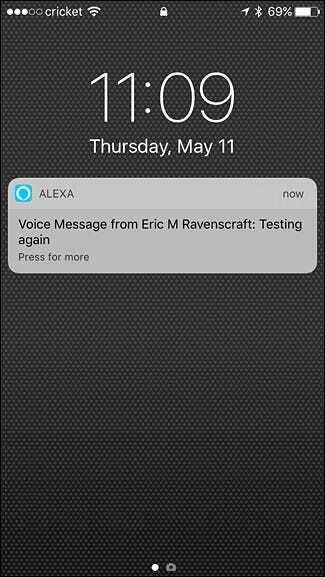 To send a voice message to someone using your Echo, say “Alexa, message Dave” (or, again, whoever it us you want to message). Once received, the recipient’s Echo will light up and make a chime noise, but Alexa won’t announce that there’s a message (unlike how she does when there’s a call). However, they’ll also receive a notification on their phone and can view or listen to the message within the Alexa app. They can also respond within the app as well. From there, the recipient just has to say “Alexa, play message” and it will play your voice message. If you typed out your message instead, Alexa herself will transcribe it and say your message aloud using her own voice.